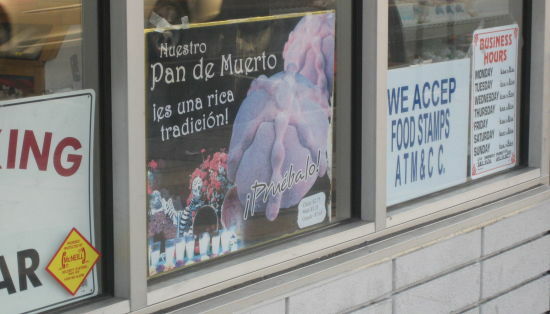 It’s that time of year, Pan de Muerto is now available at your local panaderia. 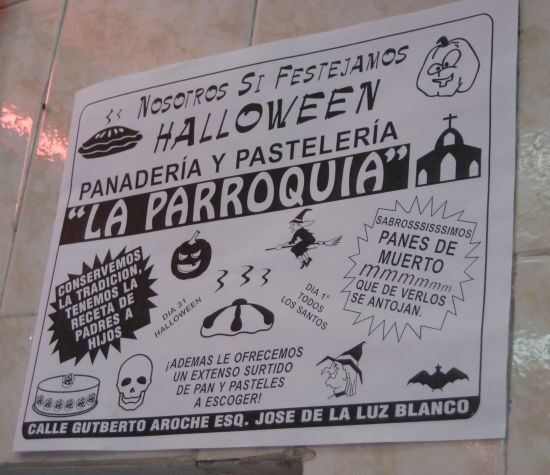 Every panaderia seems to have different kinds, although the bone symbolism tends be the most prevalent. Sometimes you can find some with names of the departed – a few years ago I spotted a piece at the King Taco bakery in Lincoln Heights with the name “Bush” on it. A baker with sense of humor, nice! 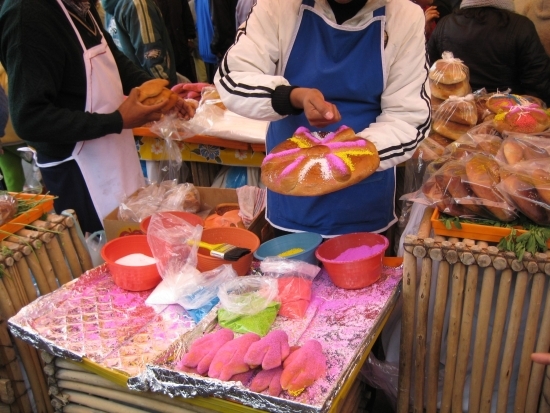 Woman preparing pan de muerto, near Mercado Sonora, D.F. 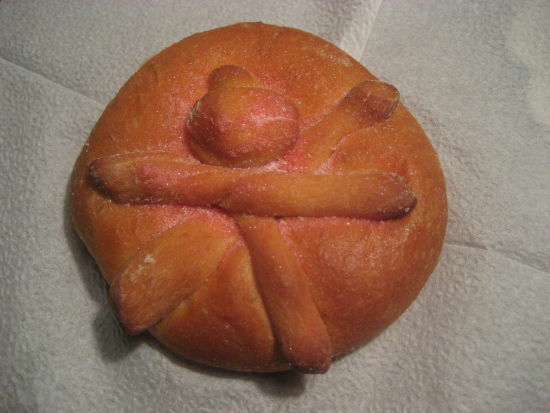 Unlike sugar skulls, pan de muerto is tasty enough to eat! This entry was posted in East Los, Eastside, Food, Greater Los Angeles, Photos by chimatli. Bookmark the permalink. I look forward to this treat every Halloween/Dia los Muertos season! (My favorite season of the year). It’s also cool how over the past several years “Halloween” has been catching on in Mexico. It started in the border states but sure has spread. Celtic & Mexican culture certainly harmonize well. it’s been one of my favorite traditions. Thanks for the info on the pan. 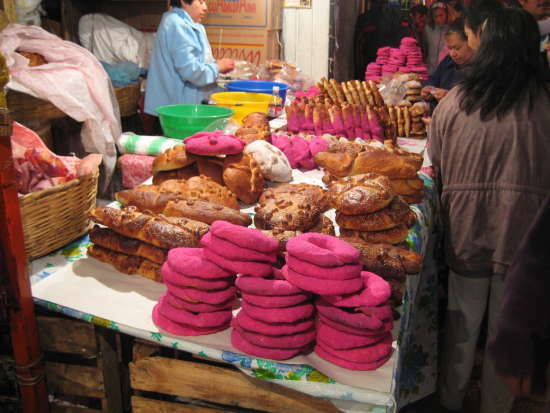 Think I’ll pick up some conchas with my pan de muerto. Don´t mixed your culture of terror with the fine mexican culture!! !Halloween is garbage…is the only true. ^Give me a break! 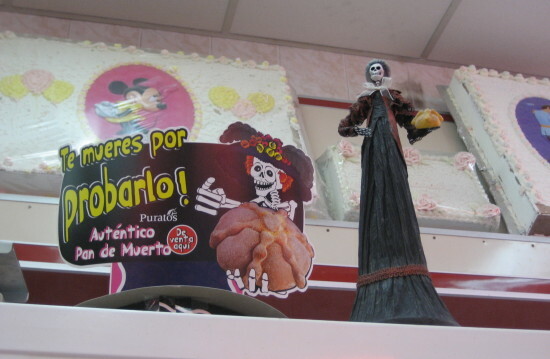 In Mexico they are crazy about Halloween and have somehow been able to mix the two holidays seamlessly. Instead of our lousy one night of trick or treating, in Mexico the kids get to wear their costumes for five days! 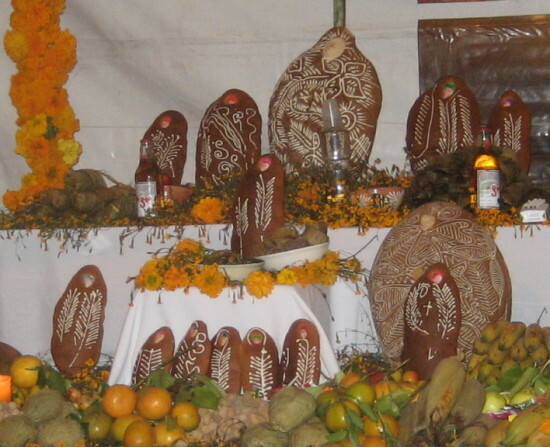 The adults have street festivals and bandas to attend. I think it’s time we learned from them. 🙂 Oh, also the kids there don’t wear the cute costumes kids in the US wear. They are not afraid to look ghoulish dressed as witches, vampires, mummies and all sorts of other terror-ible disfraces. -Ahhh! Another fine example of narrow-minded ignorant bigotry and chauvinism! 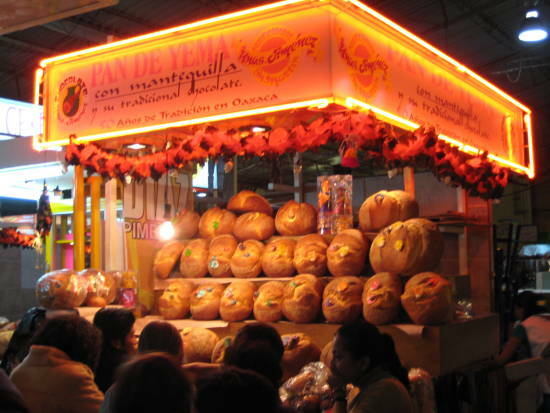 to try el pan de muerto, it’s great!